Boy, oh boy. Do we have a treat for you rebels. Last week, we officially announced the creation of our new blog categories. One of which is Beauty which will focus on bridal beauty looks, skincare, and features focused on wedding hair & makeup artists. And what better way to usher-in the start of the Beauty category, with real-life rebel bride Erin who had dreadlocks on her wedding day. Yes, you read that right--DREADLOCKS! Erin also had a tattoo below her collarbone and she made sure not to hide it as well. 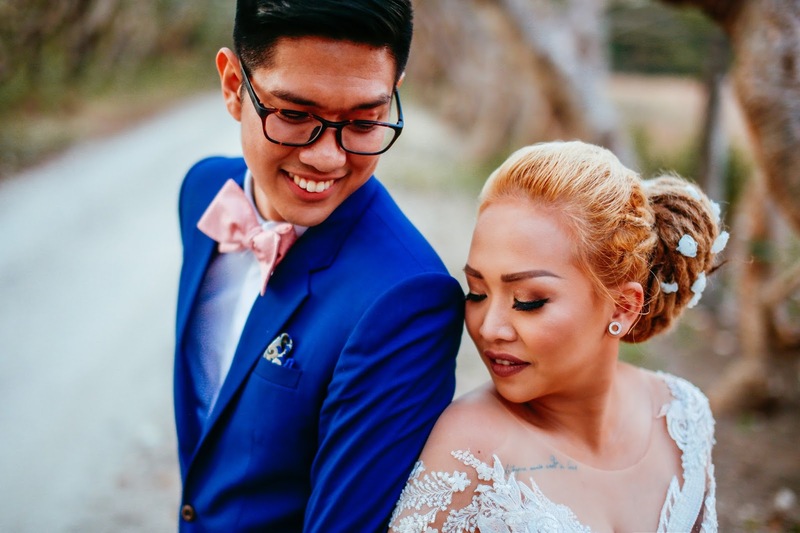 Erin softened her bridal look with a blush-colored gown and her rose gold engagement ring--the rose gold jewelry theme carried on to the wedding bands as well. "Erin was our first bride in dreadlocks! Hahahaha. This wedding was so much fun and yet very emotional. A nice 'Yin Yang' couple who found the best in each other despite the contrast." 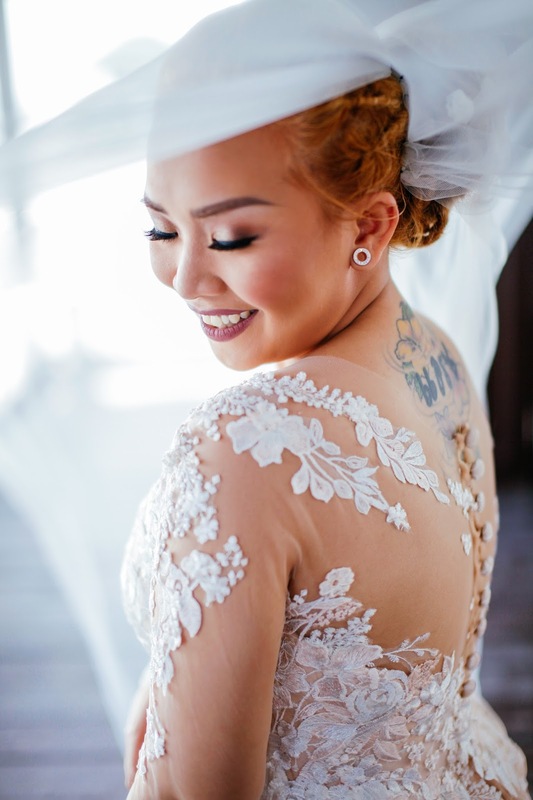 We really loved Erin's bridal beauty look, guys. 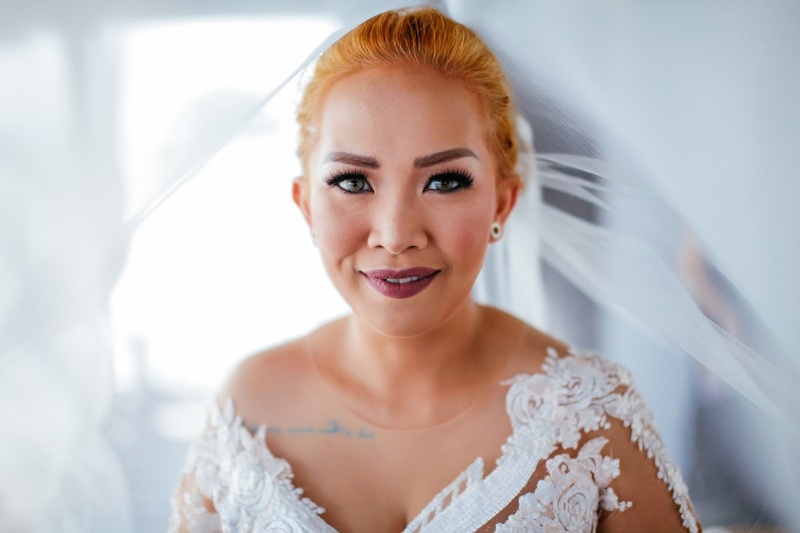 Not just because she's clearly different but also because her conviction to be herself on her wedding day is very inspiring. She had nothing to hide. She was celebrating herself and she was thankful to marry a man who loved her for who she is. Plus, this dreadlocks look could have been an epic fail. But her tasteful ideas were executed so perfectly well by her glam team and they just nailed it. But the wedding was not just about Erin's sensational hair. The wedding was so sweet and heartwarming. 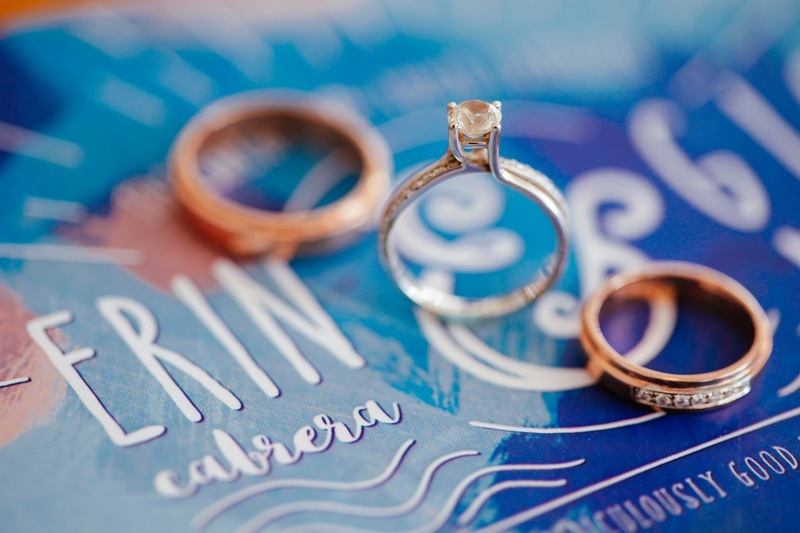 ERIN & GIO | SAME DAY EDIT from I Thee Wed on Vimeo.